Perhaps your agency has decided that developing a Social Enterprise is the exciting wave of the future and you now want to take the plunge. 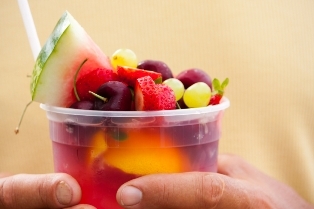 It has been suggested that you could develop an artisan lemonade stand right out front of your building. Mango cherry slow pulled lemonade anyone? Before you start painting that giant wooden lemonade for sale sign, have you truly considered all the implications of starting a new business? Insurance? Taxes? Legal Status? GST? Funding? It's important to consider how all of these this may differ in a social enterprise model from a straight business concept model. Planning for the creation and development of your social enterprise is essential. The value of this planning is that it can help mitigate the risks, explore the full potential of your idea, and perhaps even attract investment. 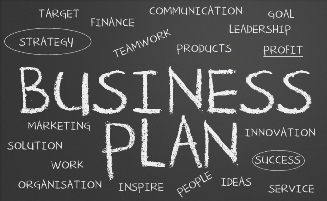 For many agencies the planning process may be as simple as talking to their bank and writing a basic business plan. For other agencies it may be a very comprehensive process conducted over an extended period of time with feasibility studies, focus groups, detailed financial plans, business plans, partnerships, funding applications, and the creation of an entirely separate corporation. Thankfully there are many resources out there to guide agencies through the planning process, and to hopefully help them to determine what makes the most sense for their agency. 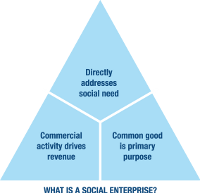 “How can you tell if your group is ready to embark on a social enterprise? What are the steps in a social enterprise planning process? How do you identify and assess enterprise opportunities? How can you measure social returns in a business setting? Good additional questions to ask might include: Do you have staff buy in? Is your Board of Directors supportive of your agency conducting business activity ? Can you articulate how the enterprise will assist in the delivery of your mandate? Having some advance conversations within your agency will assist in a strong beginning for your social enterprise and help you plan for success. This may include focus groups, feasibility studies, SWOTS, forecasts, risk planning, etc. You can find a great tool kit here. Enterprising Non Profits BC have social enterprise development grants that can be applied for up to $10,000. For business plans and/or feasibility studies. You can find out more and read the grant criterion here. How will the enterprise be funded, where will revenue go, what costs if any will need to be incurred, are there funding options to be considered? Explore the Legal Implications. (Taxes, GST, registered charity vs. non profit, provincial and territorial information, incorporation, etc.) Canada business has a whole section of their website dedicated to social enterprises. We all know what to do when life hands us the proverbial lemons, but perhaps a course in Lemonade Stand 101 would still be helpful. If training feels like your agencies next step, here are several courses tailored specifically to social enterprises that you can take to advance your skill set. A one day workshop that offers staff, board and volunteers of non-profit organizations a day of learning about the what and how of social enterprise.